City Plants has a simple goal: to get more trees planted in Los Angeles. Through a combination of funding sources, the organization offers residents of LA free trees to plant in their yard, along with a street-trees program that plants trees between sidewalks and streets at residents’ request. 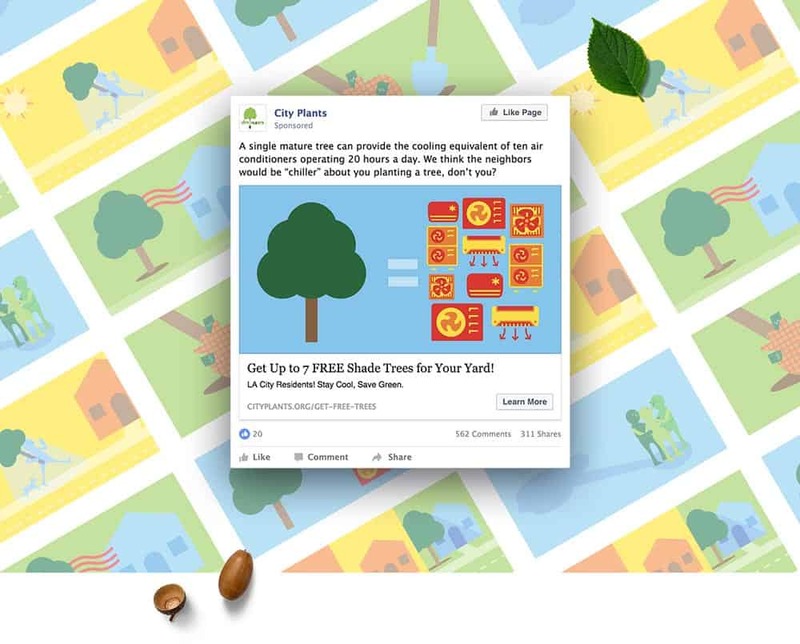 City Plants asked us to develop a digital marketing campaign that would help them reach neighborhoods that were underserved by the program. We started by looking at benefits of planting trees that would be the most appealing to Los Angeles residents. 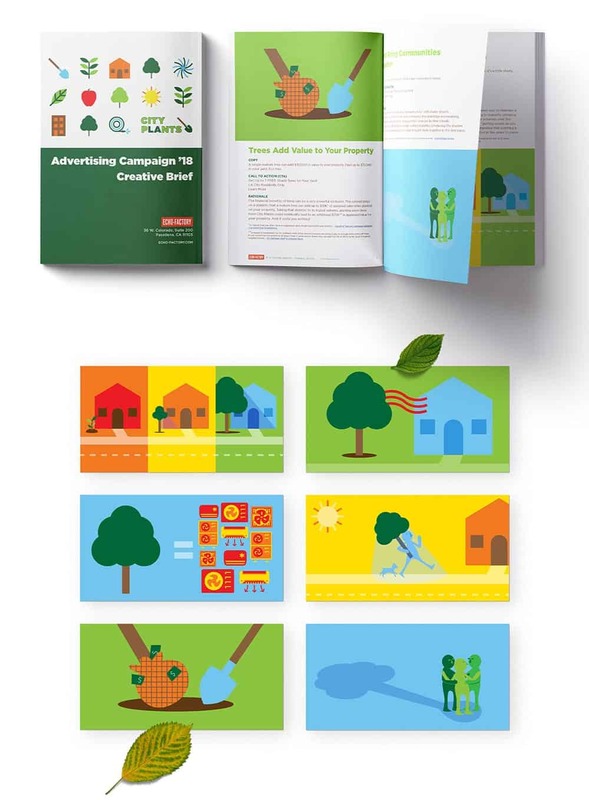 We then turned those benefits into a series of compelling digital ads that would attract any homeowner to join the program. Next, we developed a digital campaign that used geographic and demographic targeting to deliver those ads to the right consumers. As the campaign ran, we optimized it to deliver the most conversions, from the right people, at the lowest cost. When it concluded, we’d met the organization’s goals with money left over, and helped to plant hundreds of trees across Los Angeles.